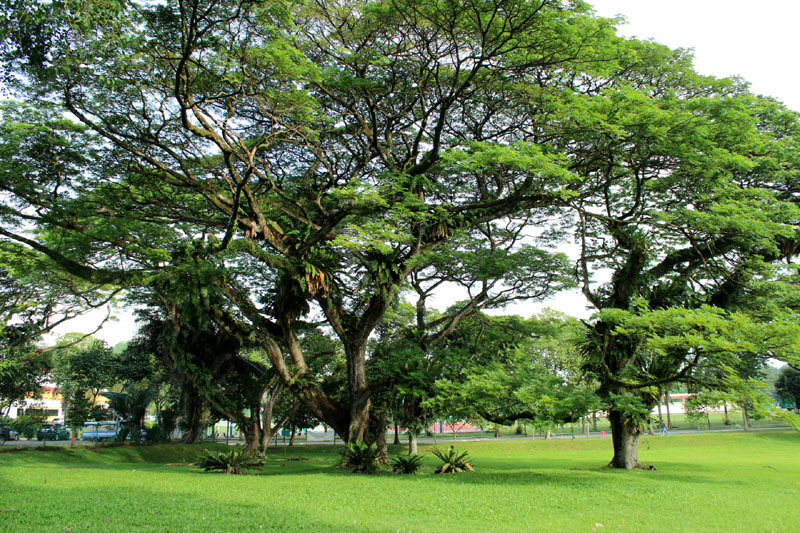 Rain tree is one of the common species in Singapore. By tilting your head anytime, any days, you see a giant smiling at you warm-heartedly. Albizia saman or samanea saman is the scientific name of a rain tree. 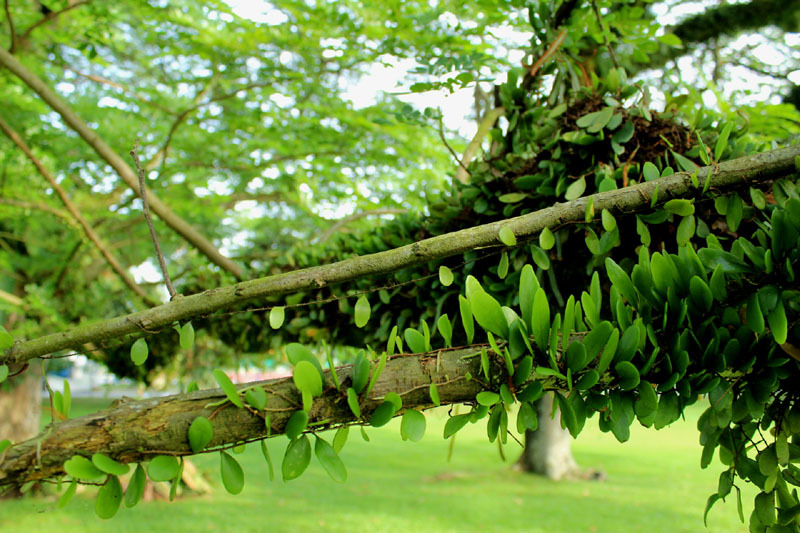 The name of this tree arises from its behaviors, as the leaves will be closed up in the evening and in rainy weather. 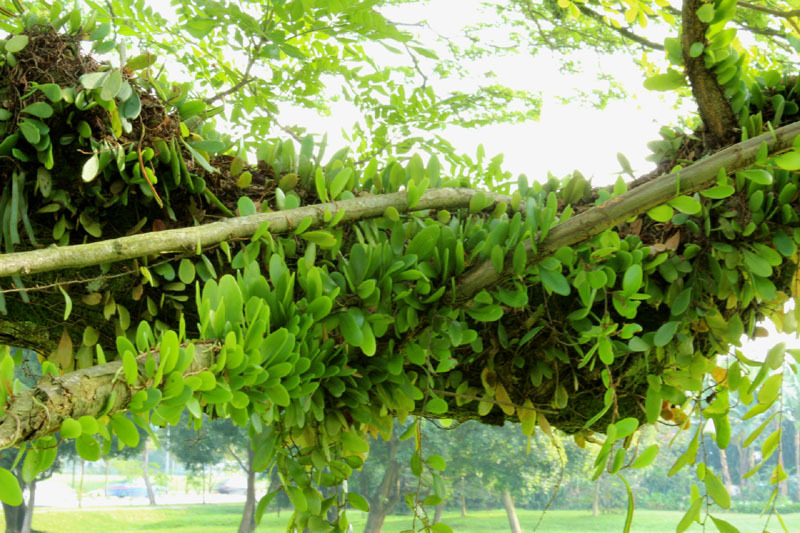 Therefore, it also has a Malay name Pukul Lima meaning 5 o’clock tree. The trees located next to Evans Lodge are magnificently huge and wide with lavishly grown weeds creeping all over its body and branches. So much so it has became part of the tree’s body; no one can split them up, as they must grow as a whole. 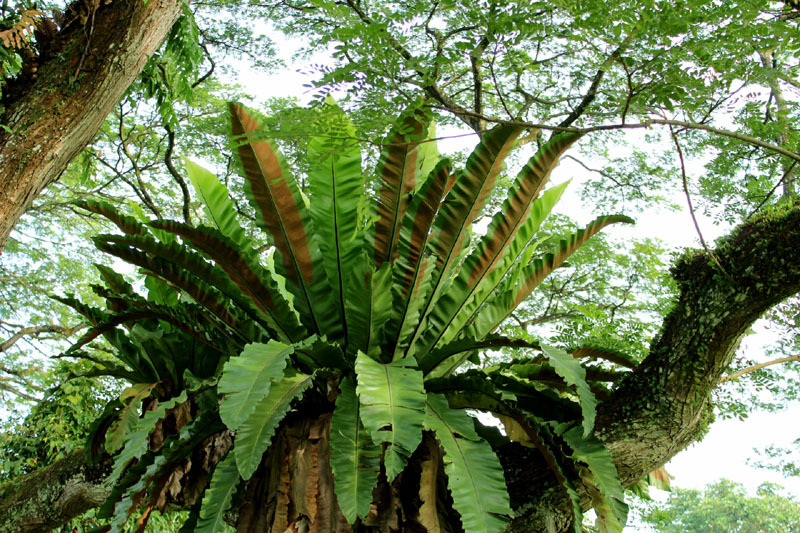 A bird nest fern also belongs to part of the community. Not one or two, they just live together simply to shade us from rain and sun. 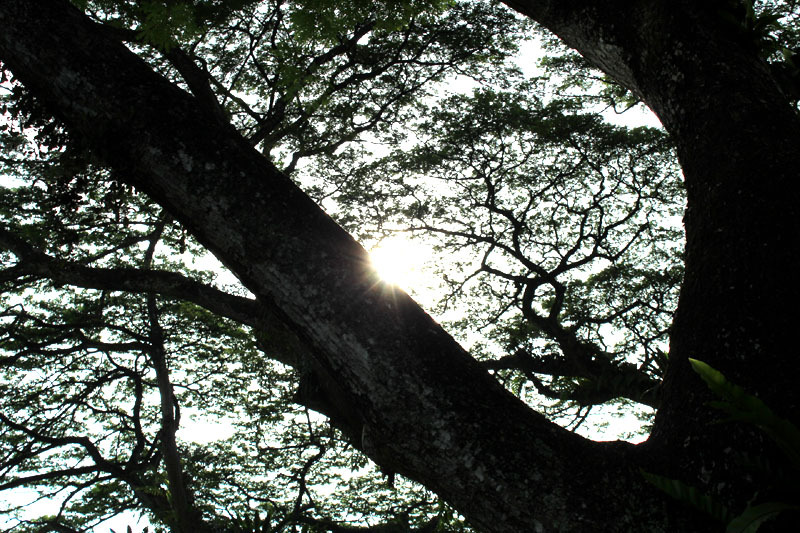 This entry was posted in Life / 生活 and tagged Albizia saman, Arts, community, Earth, Flower, Gardens, life, literature, nature, photography, postaday, Religion and Spirituality, tourist spot in singapore, Tree. ah, the saman tree is so lovely! in costa rica, the howler monkeys draped over the massive limbs and gawked down at me while i worked in the yard. . or i’d get in the hammock and gawk up at them as they did the same to me! they call these trees ‘samango’ in ecuador! yes, they are classic beauties, and seeing your images reminds me of how beautiful our planet is! thank you! Haha! By what you told me your yard story! ah, to be alive and in touch with the senses! it’s it wonderful to look up at those trees, and then down and around at the flora and fauna and cherish that we are a part of the scene? Hahaha, ya ya, especially during normal working day…. Sydney, I love seeing the beautiful trees through your camera lens and reading your wonderful descriptions. Isn’t the earth magical? Yes! Of course, this world is full of wonder and stories! Waiting for us to explore and be friend with them! Really beautiful photography! I’ve never know such places existed in singapore for 34 years of my life. 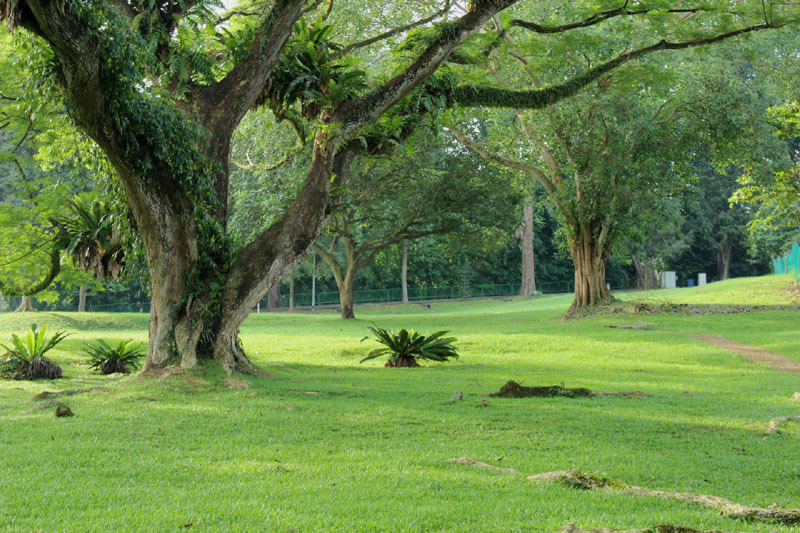 May i know where’s the location of the first huge rain tree picture? This is a open field next to Evans Lodge. If you enter Evans road by Bukit Timah road. After a left turn, not long after, you will be able to see this greenery grass field on your left. So far this is one of the best place I love the most, no human flow, just the air, sun and of course the lovely trees. Do drop by when you’re free before the next development stamping down! Thanks many dude! It’s really a beautiful place.. be going down tomorrow morning.